Sleepy time is when the body repairs itself, & that includes your skin. Overnight masks are created to seep deep in the skin for a more intense experience than what could be done by the usual mask. WATERMELON masks are especially good for this, hydrating and de-toxing skin. 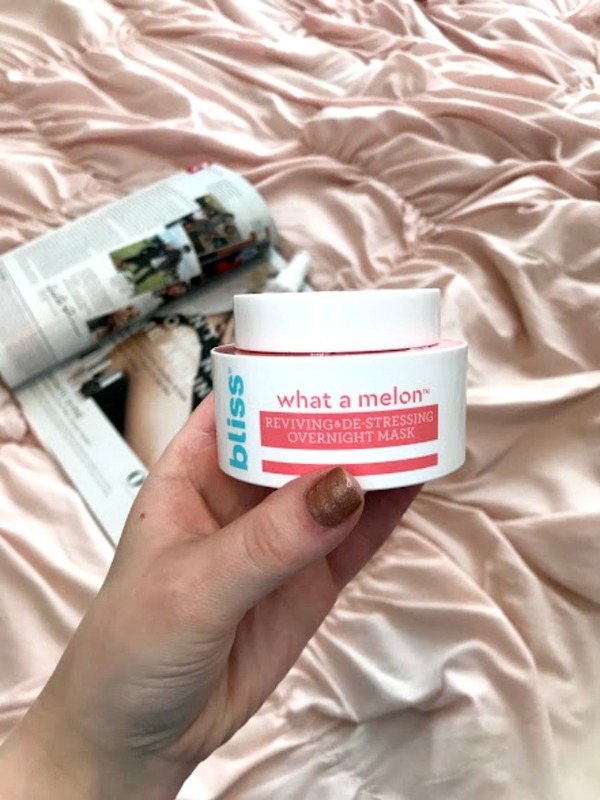 I recently asked on my IG stories for dry skin recommendations, as my face has been freaking out lately, & the Bliss watermelon mask was recommended. I immediately picked it up from target (who’s surprised) & tried it out that night. The directions say to use 2-3 times week, & I’ve been doing three to make sure I soak in all the benefits. 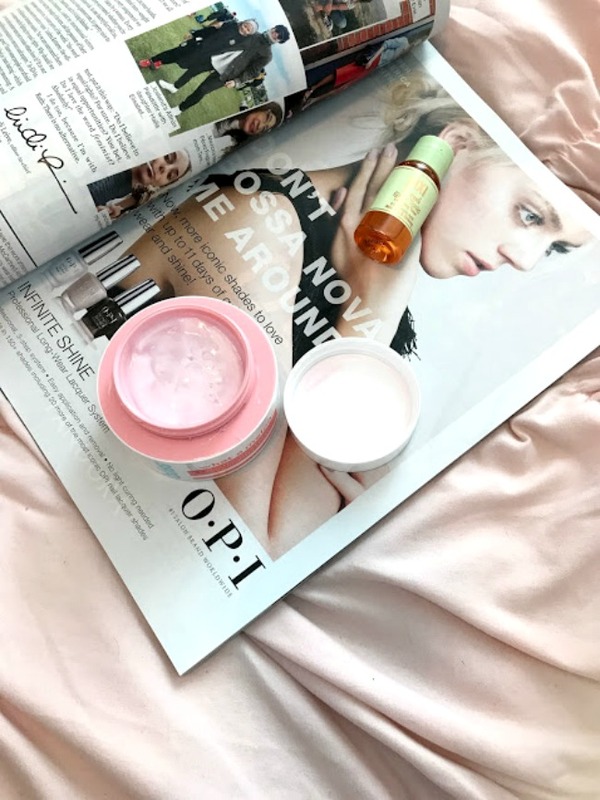 The application is simple; apply a rather thick (the formula isn’t super thick or sticky so it actually feels nice on your skin) layer to your face, (I also do my neck) let it dry for about one minute, and then catch some zzzs. In the AM, rinse off first thing & voila. Maybe it’s a placebo affect. But my skin has been feeling extra soft & glowly ever since I added this mask to my routine. It feels a bit more hydrated than when I went to sleep and it just feels.... fresher. The light summer-y scent of the watermelon doesn't hurt either! I've heard a lot about watermelon masks recently, and I'm glad I finally tested one out. My skin isn't freaking out as much either, and I'm glad because this has quickly become a favorite part of my skincare routine. 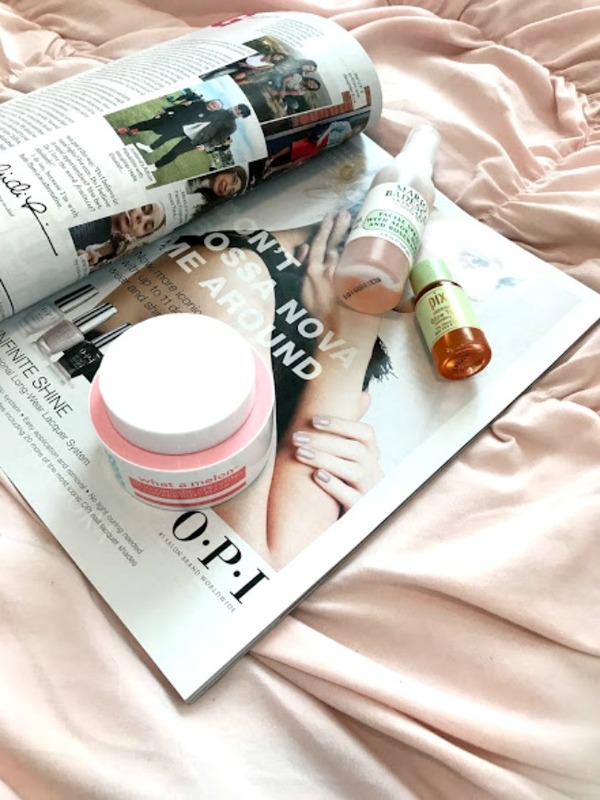 Have you tried the watermelon mask hype?